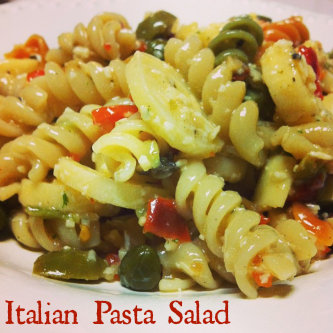 In the meantime, toss the olives, peppers, capers, and hearts of palm with the dressing and refrigerate. Once the pasta is al dente, drain and run under cold water. Toss the pasta with the dressing and veggies and refrigerate for 30 minutes.